The site is located at the junction of the A483 Trunk Road, Wind Street, Tir-Y-Dail Lane and the A474 in Ammanford, Carmarthenshire. The A483 Trunk Road passes through the centre of Ammanford, forming key arms of the signalised junctions at ‘The Square’ and Tir-Y-Dail Lane which are two key junctions in the town. Both junctions currently operate at capacity during peak periods and represent significant highway constraints on future development in the town. Carmarthenshire County Council has secured funding support from the Welsh Government, through the Local Transport Fund (Financial Year 2016/2017 and 2017/2018), to implement junction capacity improvements on the Wind Street/Tir-Y-Dail Lane junction in Ammanford. The improvements will form part of a wider package of transport improvements required to address existing congestion problems and to facilitate future regeneration of the Amman Valley. The scheme involves constructing a new roundabout in place of the existing signalised junction. In addition, the existing two-lane approach on the A474 arm of the junction will be extended to the existing mini roundabout. The new roundabout will be a compact 30m inscribed circular diameter roundabout with a two-lane gyratory and contrasting overrun area for large vehicles. Signalised pedestrian crossings will be provided on all four arms of the roundabout. 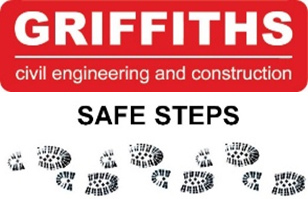 Griffiths has been appointed by Carmarthenshire County Council as the principal contractor to carry out the works, which will begin in February 2018.